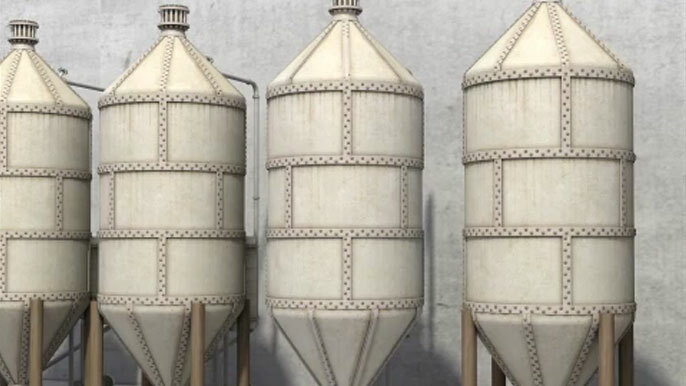 Because the batch digesters feed a continuous pulp mill, there are usually mulitple parallel digesters. 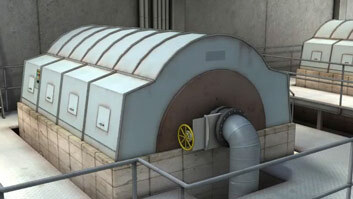 Batch digesters run operate on a cycle of filling, cooking and discharge. 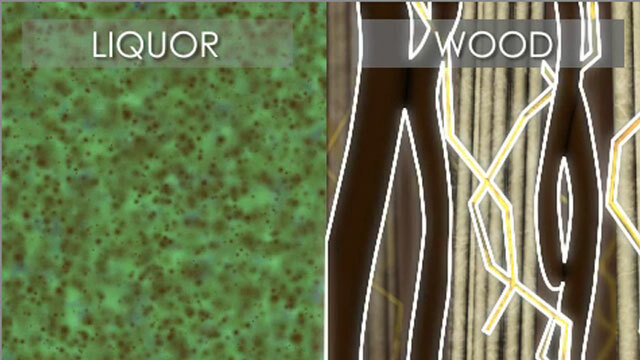 During the cook the chemicals in the liquor dissolve much of the lignin and hemicellulose from the wood. 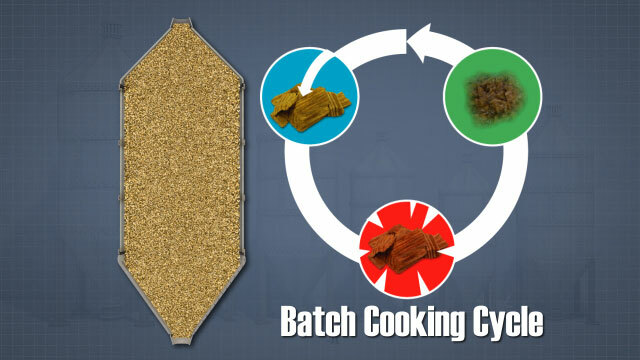 Batch cooking is an industrial chemical process used to convert wood chips to pulp fibers that can be used to make paper and other cellulose fiber-based products. This module provides background on wood fibers and chemical pulping, and then provides specifics about the batch cooking process. It also discusses the impact of several important batch cooking variables on pulp quality. What the three primary organic components of wood? Wood is made up of cellulose, hemicellulose, and lignin. In a batch digester, what goes into a ""batch""? 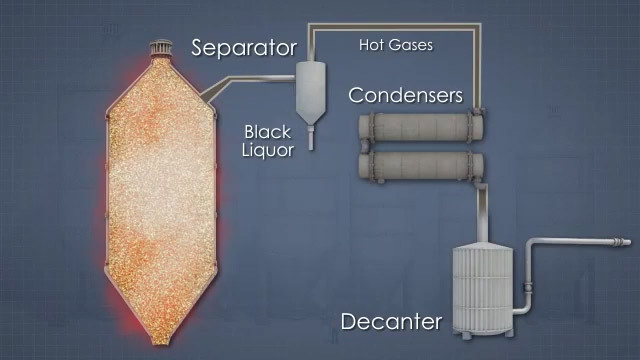 Wood chips, cooking liquor and steam are combined in a pressure vessel for each batch, or cook. At the end of cook, how is a batch digester emptied? At the end of cook, the pressure of the steam in digester pushes the cooked pulp out of the digester. What factors affect how well the chips is a digester are cooked? There are many factors which affect the cooking the chips, among the more important are: the type of wood, the strength and amount of cooking liquor, the rate of temperature increase, the final cook temperature and the time spent at temperature. 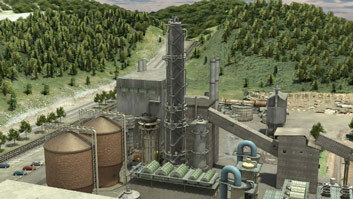 When a batch digester is emptied, what happens to blow steam? The blow steam flows through condensers which recovery some of the energy of the steam and also capture some of the volatile byproducts of the cooking process. During the cooking process, gases are released from the chemical reactions occurring within the digester. These gases are continuously vented during cooking to a collection system of condensers and separators. 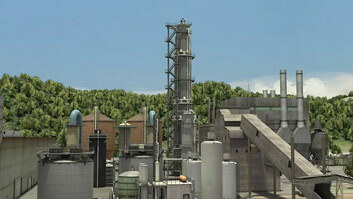 This system recovers the heat and useful pulping byproducts, including turpentine. At the completion of the cooking process, the digester is discharged to a special tank called a blow tank. 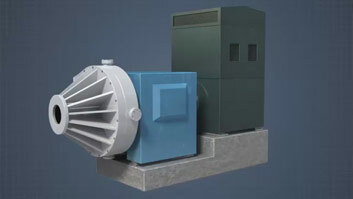 The blow tank is designed to receive the pulp and capture and recover the tremendous amount of gases and heat that are released during the blow. 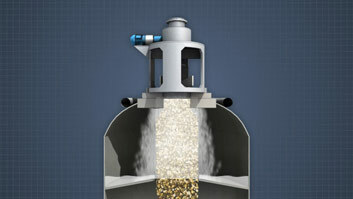 To discharge the digester, a blow valve at the bottom of the digester opens to release the contents to a blow pipe or blow line. The pressure in the digester pushes the hot pulp and liquor through the blow line to the blow tank.